It’s pretty easy to take things for granted in our homes. Sewage is one of those things. Out of sight, out of mind, wastewater flushes from our homes and travels a network of sewage lines to be treated at the appropriate facilities. 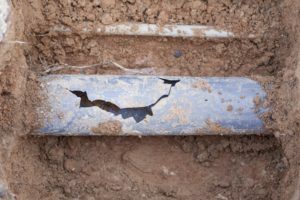 That network of underground pipes, however, isn’t invincible and if wastewater is escaping those pipes, it’s important that those weak spots are quickly repaired. We don’t have to tell you that sewage leaks are both unpleasant and unsanitary. The thing is, accessing a network of underground sewage lines isn’t particularly easy because they’re miles long and feet beneath the earth. This is where smoke testing comes into play. Before sewer line repairs can be made, the faulty portions must be identified. Smoke testing does exactly that. For a section of pipe to undergo smoke testing, the process is relatively straight forward. The section being tested is blocked off, then artificially produced smoke is forced into the section of pipe. If the pipe section has no problems, the smoke will exit from manholes along the way and the appropriate residential exhaust systems. If sections of the pipe are damaged, smoke will leak from those damaged areas. Basically, it creates a smoke signal that says here are the broken spots. Smoke testing is popularly used in routine sewer line inspections. The process itself takes approximately one hour. Once the damaged parts of the pipe are identified, the teams can quickly repair the leaks. The process is quick and could save your home from leaks that become increasingly problematic over time. If you suspect sewer line leakage, it’s important to get tests and repairs done as soon as possible. It’s also important to note that if smoke from the test enters your home, this means that sewer gases from those leaks can also enter your home. These leaks, while rare enough, are dangerous and vital to have quickly remedied. The smoke used is harmless, but extremely deft at identifying potentially harmful leakage. From burst pipes to sewer gas leaks, the professionals at Trenchless Replacement Specialists are here to help. If you have questions, concerns, or need your own residential repairs identified and done, contact us today. No homeowner wants to think about having to deal with sewer line problems. But the reality is that you’ll probably need to at some point, particularly if homes in your area still rely on plumbing from decades ago. Unfortunately, sewer lines don’t last forever — and that can cause some major chaos in your life. These days, there are newer innovations, like trenchless plumbing, that allow for more convenience and cost-savings than traditional models. It’s important to weigh the major factors that can help you make this choice. Let’s compare traditional and trenchless pipe repairs to gain a better understanding of what you might be dealing with when a pipe bursts or needs to be fixed. Hidden Costs: At first glance, the costs associated with traditional sewer lines may seem reasonable. While the installation may be a bit more affordable in certain cases, the cost of repairs and replacement will increase over time with traditional pipes. The costs associated with a complex dig-and-replacement of a traditional sewer main can range from $7,000 to $25,000. And because they’re more prone to problems, you could end up paying significantly more over time. Loss of Landscaping: Traditional sewer repair is a lot more invasive than trenchless pipe repair. Contractors will have to dig up a significant portion of your yard just to conduct the sewer line inspections. In order to excavate the offending pipe, they’ll have to do a lot of digging. Your walkways or garden could be all but destroyed by the time they’re done. All that digging will cost you a lot in labor, and you’ll have to hire a separate company to fix it all. It’s possible that the landscaping you worked so hard on could be damaged due to a simple pipe repair. 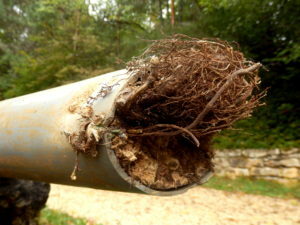 Environmental Issues: Traditional pipe repairs aren’t all that eco-friendly. During the excavation process, spills can make their way into the local ecosystem. Disposal of these pipes can also cause harmful toxins to impact the environment. Trenchless plumbing actually offers greater eco-friendliness due to the materials used and the protection they provide. They also aid in water conservation and quality. Unfortunately, antiquated traditional pipes can offer no such benefits. Longer Timeframe: Because traditional pipe repair is a bigger job to perform, it requires more people and more time to complete. More labor is required, which means your costs will be higher. You’ll also be waiting longer for a resolution, as these types of repairs can take several days to do. That can have a huge effect on your ability to remain in your home during this time, which means added costs and inconvenience for your family. Cost Efficiency: Upfront costs of trenchless plumbing may be more significant than traditional plumbing, but the costs of repair and maintenance will still put homeowners out on top. Because these repairs require fewer people and less time to complete, the costs will generally be lower. You also won’t have to undergo frequent repairs like with run-down traditional piping. Fewer Disturbances: Trenchless pipe repairs are far less invasive, which means your landscaping can be saved. There’s really no digging involved and there will be barely any clean-up needed. That means your home will retain its value and you’ll be more satisfied with the final result. 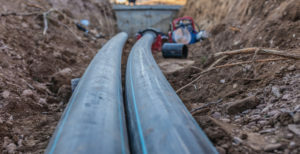 Increased Durability: Trenchless plumbing utilizes materials that are more durable and dependable than what you’ll find with traditional pipes. This state-of-the-art sewer line system won’t corrode or rust, nor will it be prone to damage from tree roots. That means you can rest assured that you won’t have to deal with frequent repairs or ongoing problems with your plumbing. Quicker Completion: Instead of taking several days to complete, trenchless sewer pair can often be performed in a matter of hours. Even if your repair needs to take longer, you won’t need to vacate your property and turn your life upside down. This means you can maintain your normal schedule and keep the costs of labor low. 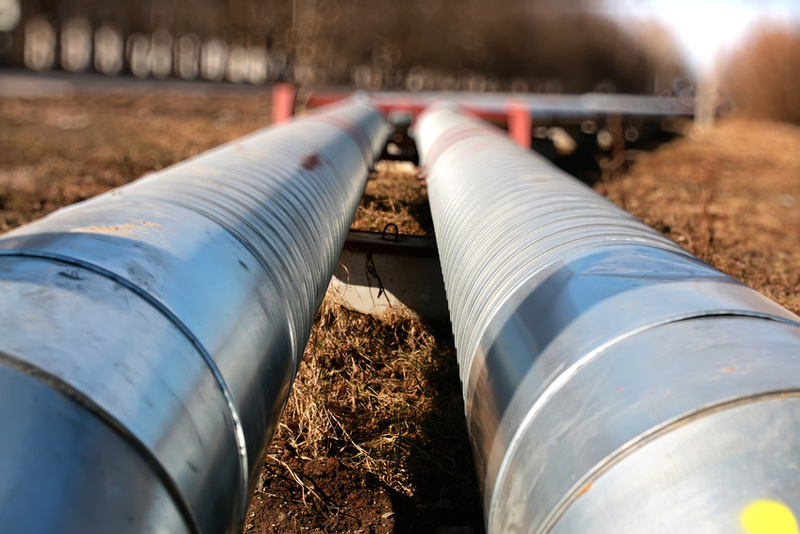 With this comparison in mind, it’s pretty clear that trenchless pipes are the clear winner. To find out more about installing or repairing this plumbing on your property, contact us today. 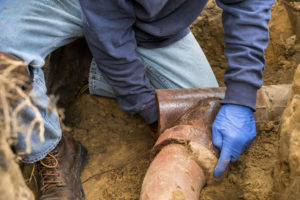 Trenchless water line repair and sewer line repair are still relatively new plumbing techniques and can give pause to homeowners interested in using them because of their newness. 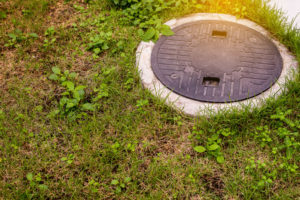 As the sewer systems in America spill about 1.26 trillion gallons of untreated sewage each year, it’s important to ensure that your own system is as reliable as possible. 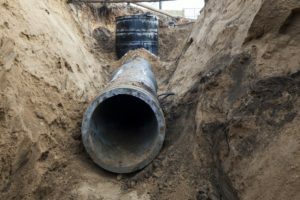 Find the answers to your questions about trenchless sewer repair and consider having it done for your next repair job. How long does trenchless pipe repair take? The exact length of a repair job will depend on the home, but a trenchless pipe repair typically takes just one to two days. Past methods of sewer and water line replacement required digging far down to reach the piping, taking anywhere between six and eight weeks. The trenchless method bypasses all of the digging with specialized epoxy doing the job of filling an entire system’s cracks or breaks. This method also results in far less mess and clean up than traditional ones. What are the advantages of trenchless sewer line repair? For trenchless water line repair or sewer line repair, the main advantage is its efficiency. In a short amount of time, you will have a repaired pipe line. Trenchless pipe replacement also does not damage your landscaping in the way that traditional replacement does, as it doesn’t require extensive digging. This method doesn’t use any dangerous chemicals, making it environmentally safer as well. To see these benefits, you won’t have to sacrifice the quality of your repair either. Trenchless repairs effectively fill cracks and breaks in pipes by coating them with a resin that won’t clog your system. How do I know if it’s right for my home? This method of pipe repair is right for any home or commercial property that has broken pipe lines. The process requires drilling just one hole to get the resin into the pipes, making it simpler than ever to get your pipe system fixed. If you’ve had your pipe system repaired before with the traditional method you should certainly try trenchless water line repair and enjoy the absence of mess. In the plumbing world, the tried and true methods can sometimes overshadow new and innovative techniques. Trenchless plumbing has been around for many years and proven to be a great alternative for anyone with pipes in need of repair. 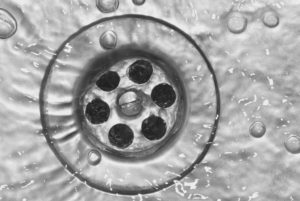 Need to know how to unclog a drain? You’ve come to the right place! Boil approximately 5 cups of water. Pour the boiling hot water down your drain. After pouring, dump in 1/2 cup of baking soda. Let sit for 3 minutes. Once baking soda has set for a few minutes, pour a mixture of 1 cup hot water and 1 cup vinegar down the drain (on top of the baking soda). Cover the mixture with a drain plug (if you have one) and let it set for no more than 10 minutes. After 10 minutes, flush the drain one last time with a pot of boiling water. So why is this combination so effective? And why does it work better than a store bought liquid plumber? This baking soda and hot water treatment will loosen up any grimy sludge that is collecting at the bottom of your drain. The chemical reaction with the vinegar and baking soda knocks it loose. Finally, the last flush with hot water rinses the junk away. It’s best to avoid the liquid plumbers due to their chemical makeup. These chemicals may work to clear a drain, but the damage it can cause your pipes simply isn’t worth it. It’s best to opt for a natural remedy instead. If the remedy above doesn’t clear your drain, or if you fear that your pipe problem is worse than just a clog, it’s time to call a plumber. Pipes are sometimes clogged further down the line with years of accumulated grease build-up or even tree roots. Unfortunately, this problem isn’t remedied with baking soda and vinegar. If you’d like for us to come out and take a look at the conditions of your pipes – contact us today!